Understanding the need for transparent accounting by businesses today, we, at DNS Accountants, offer virtue accounting, tax planning and consulting services for companies, freelancers and contractors in Coventry. Having served more than 1200 clients since 2005, we have gathered immense experience and are able to deal with books of accounts with proficiency. Providing skilful and highly experienced accountants in Coventry, Harrow, Reading, Watford and others, we have been able to create a respectable name for ourselves. Specializing in Limited Company accounting, tax investigation, tax advice, accounting solutions and consulting, all the partners and senior staff members are highly qualified, hold degrees from well-accredited universities and are members of professional accounting bodies like ACCA and CIMA. With a simple idea of saving you the money at every possible juncture, we, at DNS, help you save taxes with all compliances and regulations followed. With our quick and timely services, we make sure that you don’t face any penalties and do not face any issues. 9th largest city in England and very conveniently connected with Central London, Birmingham, Leicester, Newcastle and Warwick, Coventary enjoys geographically. A center for education, art and culture, Coventary has University of Warwick and Coventry University offering premium education to students far and wide. Home to many famous automobile companies, Coventry started manufacturing motor and cycle in 1896. Many famous automobile companies like Daimler, Swift Motor Company, Humber, Hillman and Triumph Motorcycle set up their factories here. The very famous Black Cab Taxis are still manufactured here, Jaguar has its headquarters in this city and Peugot still has its large parts center here in Humber Road. Highly into manufacturing, main businesses in Coventry consist of machine tools, aeronautical components, telecommunication equipment, agricultural machinery and cars. In the recent years, business services, finance, logistics and creative industries have also grown here. Providing consultancy in corporate finance, account improvement and corporate tax, our chartered accountants in Coventry also provide accounting and company secretarial services. With their skilful approach in creating the accounts and other reports, our Coventry accountants provide specialized services with commitment and dedication. Our accountants become trusted advisors for the client and add value to their work and business. Combined with enthusiasm, utmost dedication and superior technical prowess, our team helps the clients achieve just the best and receive reports about the in and out of their sector they operate in. Providing a wide range of tax advisory services, our tax accountants provide custom made solutions for various businesses, depending on the business type and related intricacies. Our experts have thorough experience in tax planning and help you minimise your liabilities and taxes well in time. We work on both the personal and company levels in terms of tax planning so that both are in sync and can be managed properly. This technique works well with company owners and entrepreneurs because the separation of accounts and management could lead to disasters. Our Tax accountants in Coventry work closely with start-ups, entrepreneurs, in acquisitions, disposals and raising finance. Creation of “Statement of Capital” holding details of all the details of the shares and rights of the company. Creation of “Articles of Association” which has all the rules according to which the company is supposed to run. After this, the company gets a “Certificate Of Incorporation”. At DNS Accountants, we charge a fee of £150 and complete all the formalities for Company formation. The charge includes VAT and payroll registration. 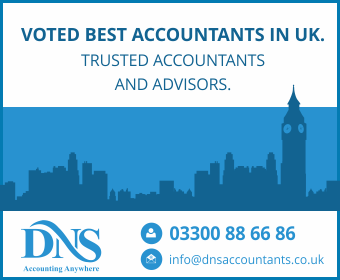 Providing contractor accountants in Coventry in various fields, we, at DNS, take care of all your accounting needs personally and more efficiently. With our services extending to areas like Bedworth, Warwick, Solihull, Tamworth, West Bromwich and Birmingham, we have been able to serve a variety of clients in various domains. Gathering a plethora of experience, our Accountants in Coventry are focused on serving as many people as possible, helping them do better in their area of work with all regulations and compliances duly followed. Delivering value in terms of tax advice, business development and fund management, our managers will help open various areas for you to work and succeed in.